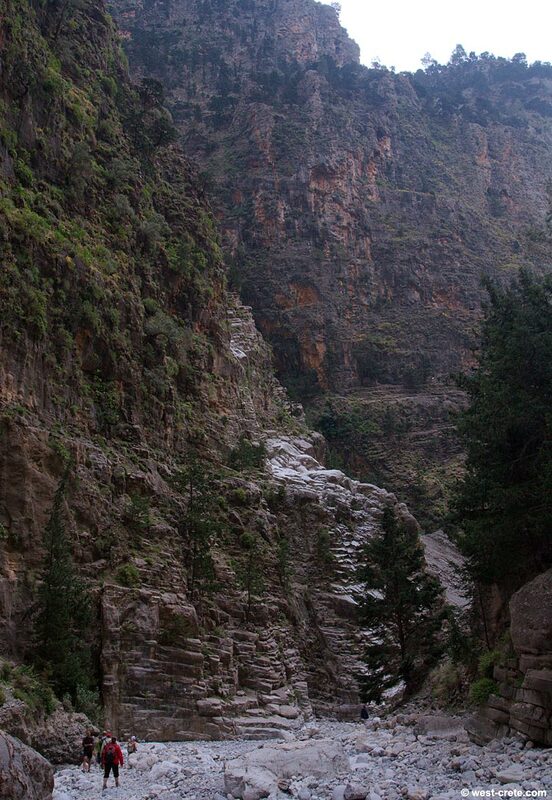 A short while after reaching the narrow part of the gorge of Samaria (about 2 km below the village of Samaria) there is a spot where the rocks in the cliff are particularily shiny, even in the shade and on a cloudy day (like in this photo). I guess that it is a (limestone?) deposit left by water that runs down them when it rains but maybe someone has a better explanation.